The new season of Lviv Fashion Week will be held in Lviv on October 25-28. 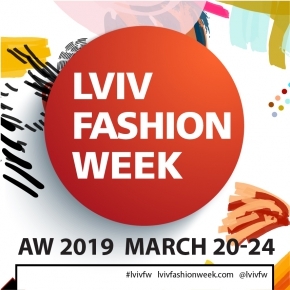 This season, the Lviv Fashion Week will be a major event, since in addition to fashion shows and events, it will also accumulate events from other creative industries, such as art, object design, and cinema. The occupied area of ​​the main location in the Lviv Danylo Halytskyi International Airport will be doubled, and besides the platform for shows and showrooms, new accompanying projects Lviv Art Days and PromDesignFest will be located there. Traditionally, not only does Lviv Fashion Week present new names, but also new locations: Lviv Fashion Week will begin on October 25 with the presentations by DIYA and Kateryna Karol&Synyava, which will be held in the MolodoZeleno space. The main program is dominated by Ukrainian designers – spring/summer 2019 collections will be demonstrated by Lesia Semi, J.Perekriostova, Eklectic, Chernikova, Olesya Marchuk, Olesia Hryn, Novana Studio; there will also be debut shows of young brands Framiore, Havryliv, ULTRASOUND by Zherebetska & Kucher, Olia Zadybchuk. This fall the participants of Lviv Fashion Week will be British brand giebultowski, German brand Rockmädchen, Polish designers Waleria Tokarzewska-Karaszewicz, Kaya by Karo, Sonia Chruścińska, Magda Kurnicka. Lviv Fashion Week will end with the shows featuring evening and wedding collections of Oksana Mukha by Kateryna Yalova, which opened MQ Vienna Fashion Week this season. The main schedule of shows and presentations for Spring/Summer 2019 will be complemented by the educational program and the showroom. The educational program includes lectures and discussions that will be held at the Design House on October 26-28. Fashion-dialogues this time will be dedicated to the topic "Phenomenon of ugly fashion: aesthetics of “ugly” as global trend", moderator - Lilia Sushko. The lecture program will include lectures under the topics "Vsi. Svoi– platform for sales and development of the Ukrainian designers" (Tetiana Fishchuk, Director of Communications at Vsi.Svoi), "Fashion Tech trends and how to find them" (Kasia Gola, Symphony Solutions company, founder of GeekGoesChic, cofounder of Flowbox.io). 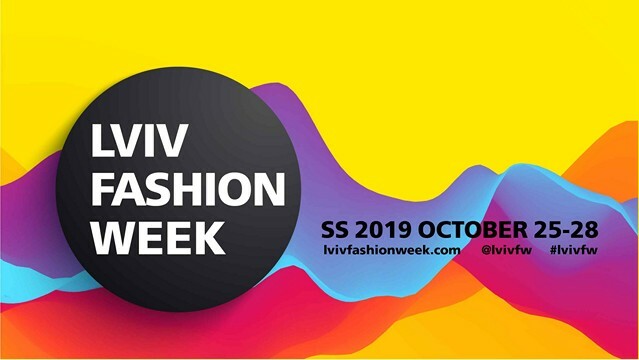 Lviv Fashion Week showroom, in which nearly 30 Ukrainian brands take part, will be held at the main venue in Lviv International Airport on October 26-28. The program from the Ukrainian perfumers at Lviv Fashion Week will include the following workshops - "The Art of Scent. Perfume Wardrobe" by Bohdan Zubchenko (perfumer, BZ Parfums), "Men's fragrances of the postmodern era for him and for her" by Oleksandr Perevertailo (perfumer, Partisan Parfums), "How to create fragrance for your own brand? Perfumes as an accessory line of designer collections" by Vlad Zvarych (perfumist, curator of Olfactorium, Kyiv), Anna Shevchuk (Perfume Technician of Karen Doue, Dnipro), Olena Bielova (perfumer at Perfum Facteur, Kyiv); presentations of scents from Ukrainian perfumers and Olfactorium Perfume Party, which will be held on October 27 at the Lviv National Philharmonic. 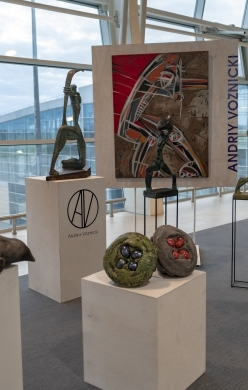 A new Lviv Art Days project, created on the basis of world art weeks, which is aimed at the presentation and promotion of Ukrainian artists within the framework of international events held in Lviv, will be held for the first time at the main location in the Lviv Danylo Halytskyi International Airport. Project objectives include popularization of various facets of contemporary Ukrainian art: paintings, graphics, sculpture, weaving, metal, ceramics, topical artistic practices (installations, performances, video art). On October 26-28, 2018, Lviv Art Days begin under the auspices of the Lviv Fashion Week; Lviv Art Days visitors will be able to evaluate the most up-to-date works of famous artists and creations of various young artists.